One highlight follows the other in the IMSA SportsCar Championship: Just a week after the six-hour classic at Watkins Glen, North America’s premier sports car race series makes its traditional detour over the border for Canada’s one and only round of the season contested on 8 July at the Canadian Tire Motorsport Park. The Porsche GT Team fields two 510 hp 911 RSR in the GTLM class on the very fast and demanding course close to Bowmanville. This category, in which four automobile manufacturers compete, is known to be particularly tough and is packed with suspense from start to finish. Porsche’s customer team Wright Motorsports runs two 911 GT3 R racers in the GTD class. The storied 3.957 kilometre circuit at the Canadian Tire Motorsport Park is Canada’s oldest racetrack. The first sports car race on the former Mosport International Raceway was contested in 1961 with victory claimed by Stirling Moss. From 1967 to 1977, the Canadian Formula 1 Grands Prix were held on this dauntingly fast racetrack, located two hours by car from Toronto. 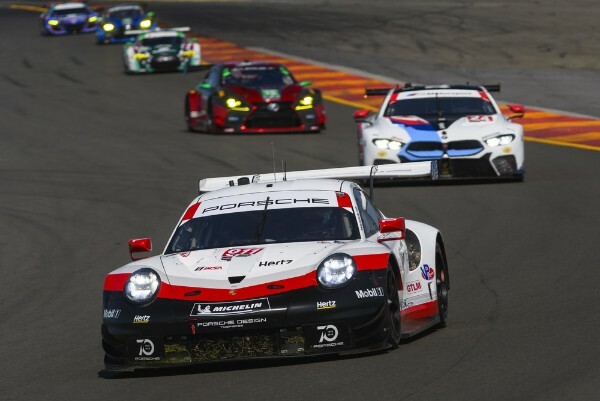 Porsche’s most recent victory here was scored in 2015 by Patrick Pilet and Nick Tandy with the 911 RSR. Patrick Pilet (France) and Nick Tandy (Great Britain), the winners of the Sebring 12-hour race, share the cockpit of the #911 racer. Laurens Vanthoor (Belgium) and Earl Bamber (New Zealsnd) drive the second 911 RSR (#912) fielded by the Porsche GT Team in the GTLM class. These two won the Mid-Ohio race in the USA recently. In the GTD class, the Porsche customer team Wright Motorsports compete with two 911 GT3 R. Sharing driving duties in the #58 car is the works driver Patrick Long (USA) and Porsche Selected Driver Christina Nielsen (Denmark), with the #16 vehicle manned by Wolf Henzler (Germany) and Michael Schein (USA). For the second race season, the 911 RSR was optimised primarily in the setup. Depending on the size of the restrictor, the motor, which is positioned in front of the rear axle, puts out around 375 kW (510 hp). The particularly large rear diffuser combined with a top-mounted rear wing provide strong downforce and aerodynamic efficiency. The ca. 368kW (500 hp) customer sport racer was designed for worldwide GT3 series on the basis of the 911 GT3 RS production sports car. For 2018, Porsche provides its customer teams with an evo-kit for the 911 GT3 R.
Round 6 takes off on Sunday, 8 July, at 14.05 hrs local time (20.05 hrs CEST) and runs over 2:40 hours. 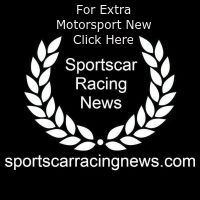 The race can be viewed live outside the USA and Canada on http://www.imsa.com. Nick Tandy (911 RSR #911): “This is my favourite track in North America. It’s always a pleasure to drive here. The track’s fast and flowing, and it’s a real rollercoaster. It reminds me of the racetrack in the UK where I grew up. Porsche has always performed well in Canada. We won the race in 2015. It’s high time for the next win.